The ILSI Research Foundation brings scientists together to improve environmental sustainability and human health. Discover in our monthly newsletter how we are advancing, disseminating, and translating science into proactive solutions. According to the most recent WHO statistics, 216 million people contracted malaria in 2016, with 445,000 deaths. Despite preventive and treatment measures, progress in further reducing the incidence of malaria is currently under threat due to insecticide resistant vectors, drug resistant malaria parasites, and decreased funding for managing this debilitating disease. However, new control strategies are being explored, including the use of gene drive mechanisms to suppress or replace vector mosquito populations in order to reduce the incidence of malaria. 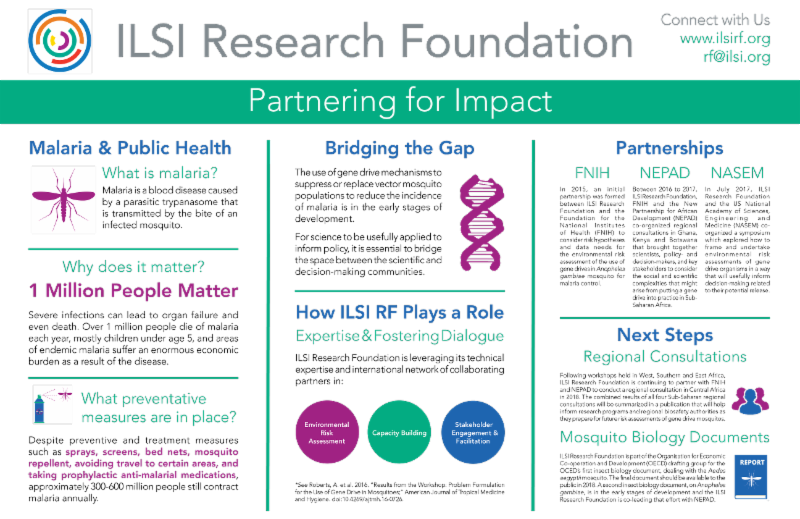 With expertise in environmental risk assessment, capacity building, stakeholder engagement and facilitation, the ILSI Research Foundation is able to utilize its global network and leverage its technical experience to help address some of the pressing questions associated with the use of gene drives for malaria vector control. Learn more on our Environmental Risk Assessment of Gene Drives program page. 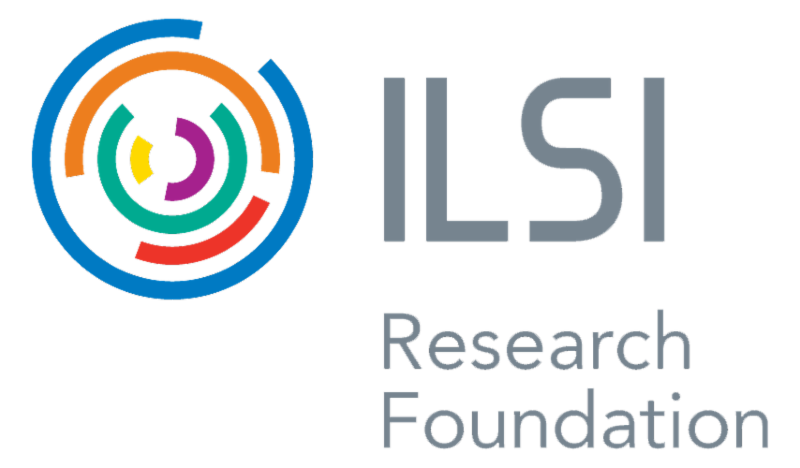 The ILSI Research Foundation works with an enviable network of organizations and individuals around the globe. Learn about how we partner for impact in our work on gene drive technologies by viewing the poster we presented at the ILSI Annual Meeting, held January 19-23. 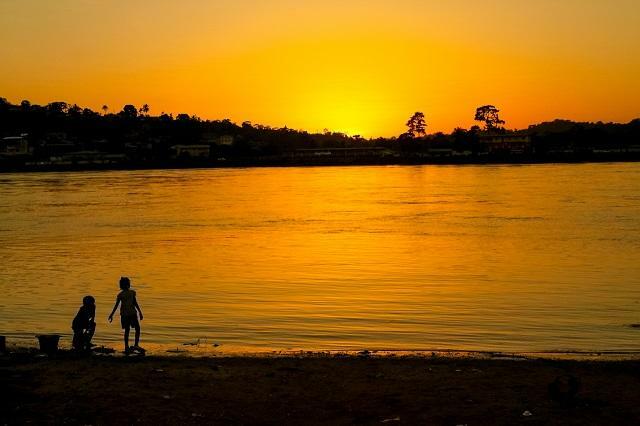 The New Partnership on African Development (NEPAD) is organizing a regional consultation February 19-22 in Libreville, Gabon, which will explore considerations for the environmental risk assessment of gene drives that may be used to modify or suppress populations of mosquito vectors of malaria. NEPAD has asked the ILSI Research Foundation to collaborate by sharing information and expertise on problem formulation for risk assessment through a set of case study exercises.